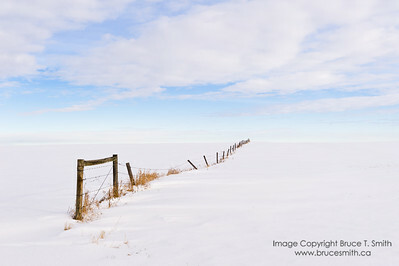 A selection of some of my best images from winter outings - both around Edmonton and in the Rocky Mountains. 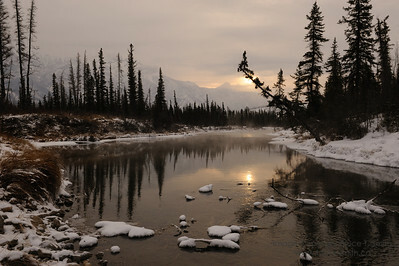 Please check my Nature and Landscapes, and Places galleries for more winter images. 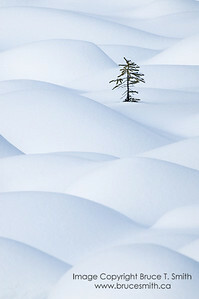 A little spruce tree amongst the undulating curves of snow. 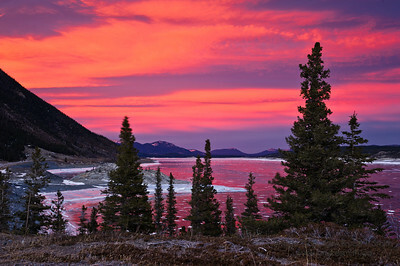 A beautiful sunrise over the ice of Abraham Lake, Alberta, with the gorgeous red reflected in the polished ice below. 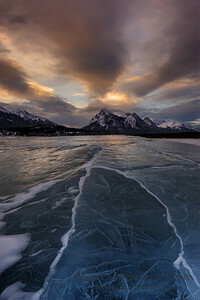 A view across Abraham Lake at sunrise, with waves crashing onto the ice-covered shore. 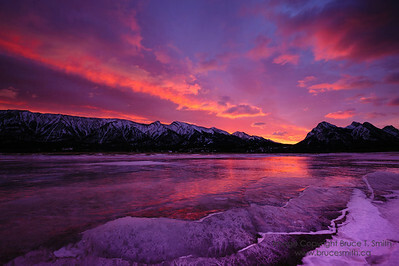 Amazing underlit sunset clouds and reflection at Abraham Lake. 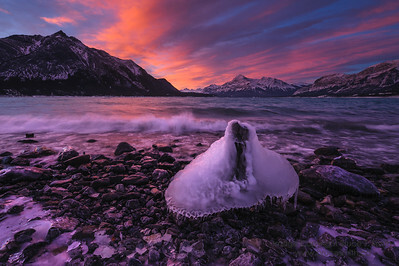 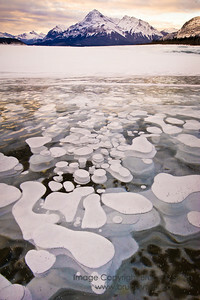 Strange bubble shapes in Abraham Lake... 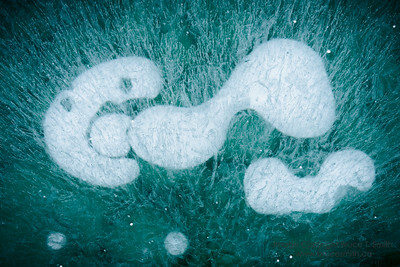 These look like a mutated pac-man eating other bubbles that are trying to get away! 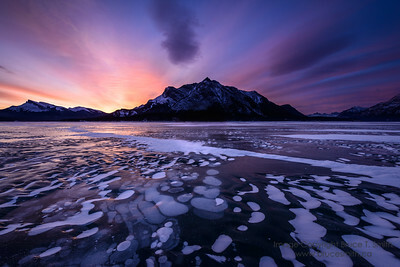 Sunrise over Mount Michener, with the amazing ice of Abraham Lake in the foreground. 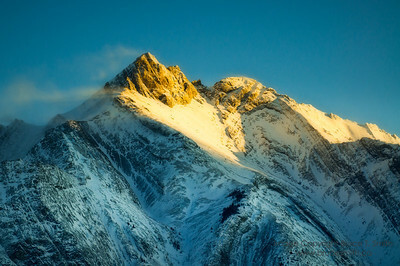 Late afternoon winter sunlight on the rugged peaks of Mount Wilson, Banff National Park. 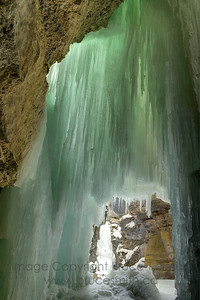 A massive 5-shot panorama. 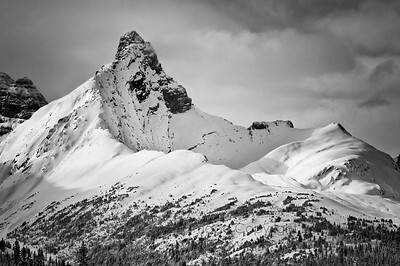 This image was selected as First Prize in the Outdoor Photography Canada 2014 Spring Photo Contest.